For those hired on the first day of the month, the benefit-effective date is their date of hire. For those hired on the second day of the month or later, the benefit-effective date is the first of the month following their date of hire. Which benefit programs are you eligible for? *Specific eligibility requirements (such as minimum hours worked, service requirement, etc.) or different benefit levels may exist. See this benefit's webpage for more information. When can you enroll in benefits? Certain changes are permitted within 30 days of a qualifying life or family status event. Supporting documentation is required when adding dependents to your coverage. It must be submitted within 30 days of their enrollment date, or they will be removed from your coverage. How do you enroll in benefits? Review the Benefits Guide and use the information on this site to determine your benefits eligibility. Decide which options work best for you and your family. If adding new dependents to your benefits coverage, you will be required to provide their Social Security Numbers and upload a copy of dependent verification documentation to Workday within 30 days. If enrolling in the Dental DHMO plan, you will need to enter your Primary Care Dentist code. A link to search for these codes is provided in Workday during enrollment. 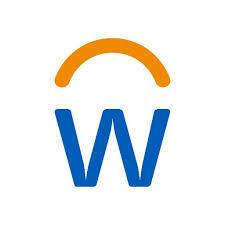 Workday is our web-based Human Resources, Payroll, Benefits, and Time Tracking system. Visit the CMUWorks Service Center website to log in to Workday using your Andrew ID and password. If you need assistance using the system, review the guides found at My Workday Toolkit or contact the CMUWorks Service Center directly at 412-268-4600 or cmu-works@andrew.cmu.edu. Review your final elections carefully before submitting, and remember to print and/or save a copy for your records. Follow up with required documentation. If dependent verification documentation, and/or life status change supporting documentation is required, please upload those to Workday within 30 days, if you have not yet done so during enrollment. Life insurance coverage may require Evidence of Insurability (EOI). If you receive an EOI form in the mail, please return it to MetLife within the time frame indicated. What benefits are available for enrollment? Visit the CMUWorks Service Center to access your benefits information in Workday or to inquire about your benefits.